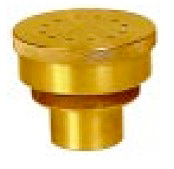 3/4 inch Threaded Pipe Size, 2.360 inch overall height, 2.760 inch overall diameter, 12 nozzles, 0.094 inch Nozzle Orifice, 0.040 inch suction strainer (orifices and open area required). PEM 33 is made of cast bronze, machined finish. The Ring Cluster sprayhead provides a ring of jets spraying up and slightly out. The spray effect is that of fine and lacy jets of water creating an outside dropping ring of sprays. 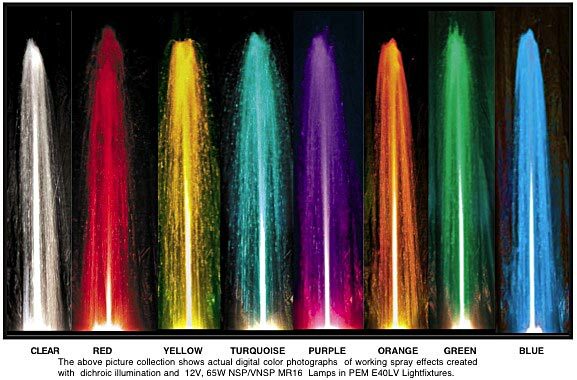 Standard spray angle is 5 degrees off vertical center line, outside drop.